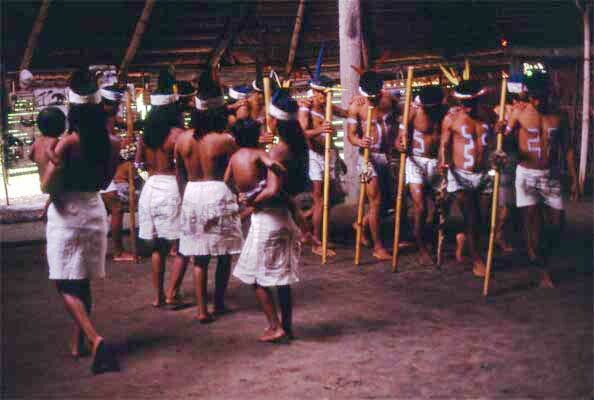 Purists decry the entertainment provided for tourists by local tribes in the form of traditional dances. Some people regard this practice as demeaning, somehow contaminating the native tradition. However, for the people performing the dance, it provides a valuable source of income. Tour companies pay the dancers directly for the performance. Afterward, the dance troupe and their families have a chance to sell handicrafts, adding to the economic benefit. It is likely that without these incentives, these traditions would die out altogether. The modern world is encroaching on these people and, undoubtedly, loggers, miners and traders are not going to pay them to perform their traditional dances. 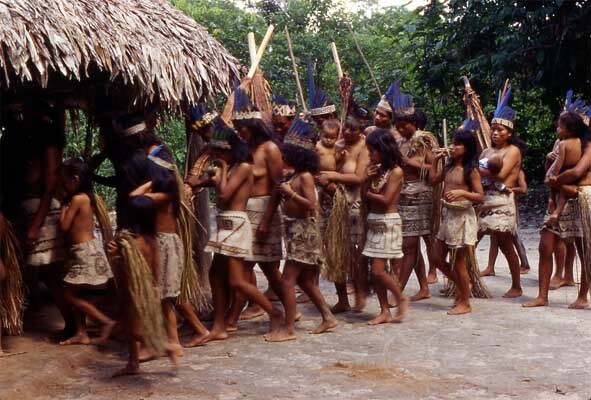 The Bora today live peacefully alongside the Yagua Indians, although the two tribes were once implacable enemies. The "Anaconda Dance" involves the men stomping on a long, flattened log that thumps the ground with a resounding beat. 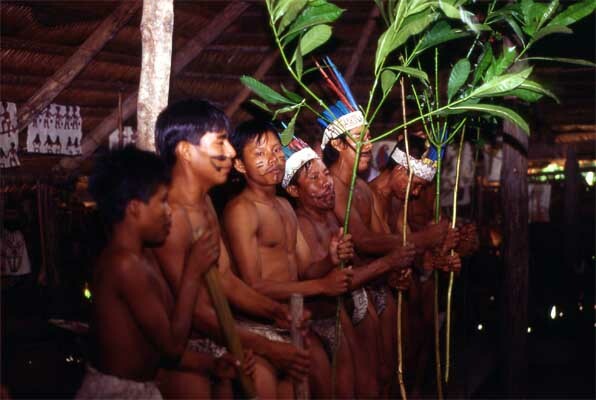 The head-dresses are made from the tail feathers of the blue and yellow macaw inserted in a band of bark cloth. Note that the women are carrying their babies. It's quite dark, and cool, inside the hut. These are built on the traditional style, and at one time, the entire village would sleep together in these communal buildings. Today they are used primarily for group events, such as performing for visitors.